Personally, I was delighted when my toddlers began pushing brooms around. As a trained Montessori teacher, I was always excited to see my own children beginning to engage in “work”, but first as a teacher and then as a parent, I knew that everyone was happier if I distinguished my children’s work from mine. I had learned that it was better to classify this work as very important “play”. Playing house is often one of the first ways adults begin to see imitative behavior in their toddlers; it can also lead to expectations that exceed a child’s actual ability. Through observation, we can better meet the child where they are, enhance their learning and decrease our frustration. 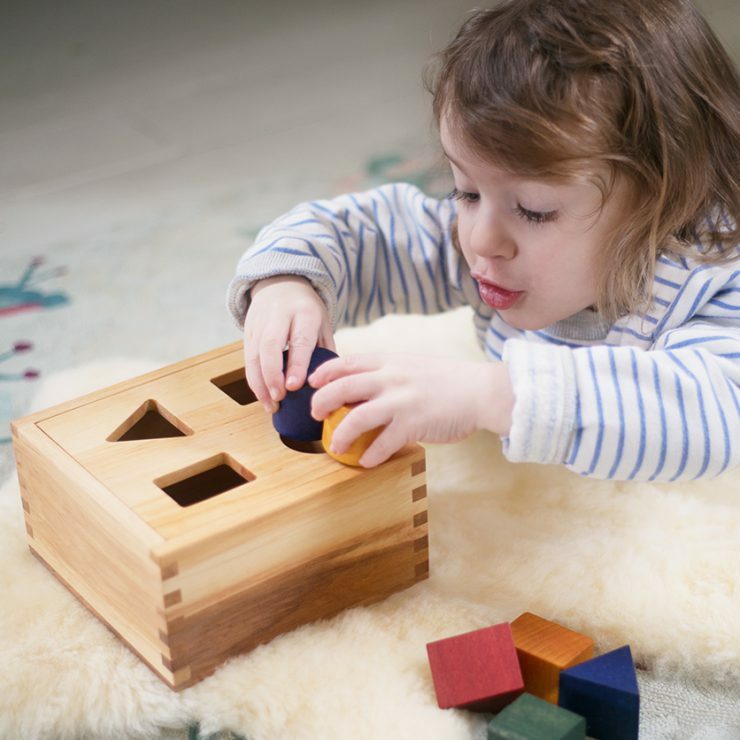 It’s funny that when we see a child putting blocks back into a basket, we jump to the conclusion that they now understand “cleaning up”, but when they delight in twisting the steering wheel of a car back and forth, we don’t think we should start teaching them to drive. 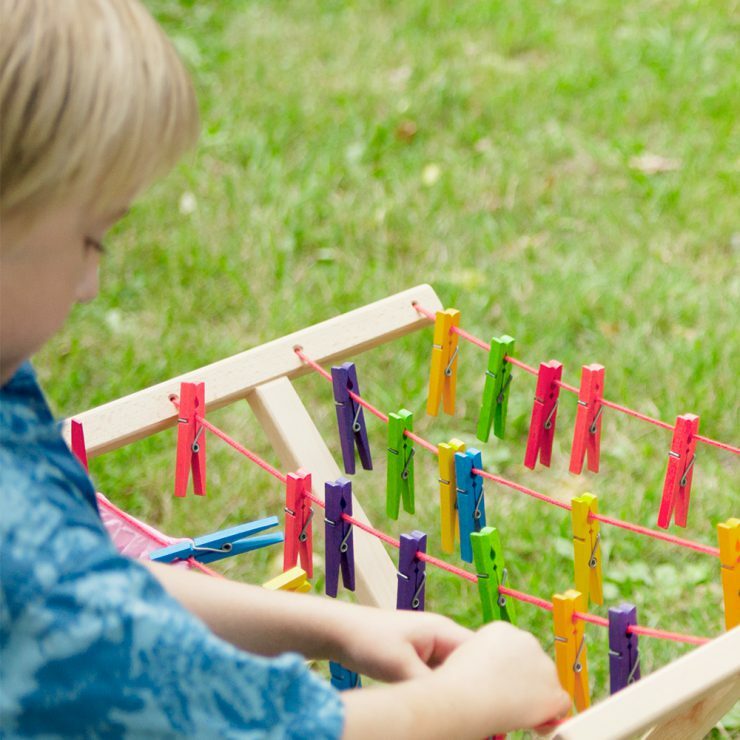 What is a child really doing when they engage in imitative play? And as adults, what is our role in this development? Equip them with tools sized for little hands. While your broom can be fun to try to maneuver, children will be less likely to knock things off shelves or bump into bystanders if the length of the broom fits them. The same is true for smaller hammers, cleaning cloths and even spray bottles. Acknowledge that they probably don’t have a goal. Little ones see what you do and copy your actions without understanding the point of the activity. Like a baby learning to talk by first just repeating your sounds, their joy comes in the mimicry. With time, they might actually notice that your rubbing gets food off the dishes, but at first, the sensation of the water and the bubbles and the focused action is all consuming and has no “point” besides the experience. Encourage your little shadow. It can be charming to have your little one “helping” with the chores, even if their help is just being a lovely companion. When we accept our children exactly where they are, we’re creating an environment that fosters their growth and development. 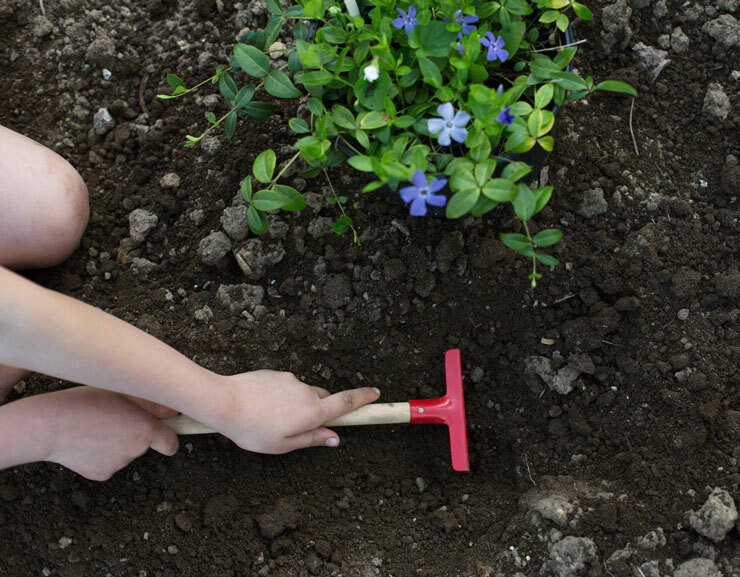 They do not need to understand that our hammering will lead to a garden bed, but they will certainly grasp whether your task is a pleasure and whether their presence is welcome. Our attitudes in these situations influence the way they approach “real” chores later on. Allow their effort to be enough. 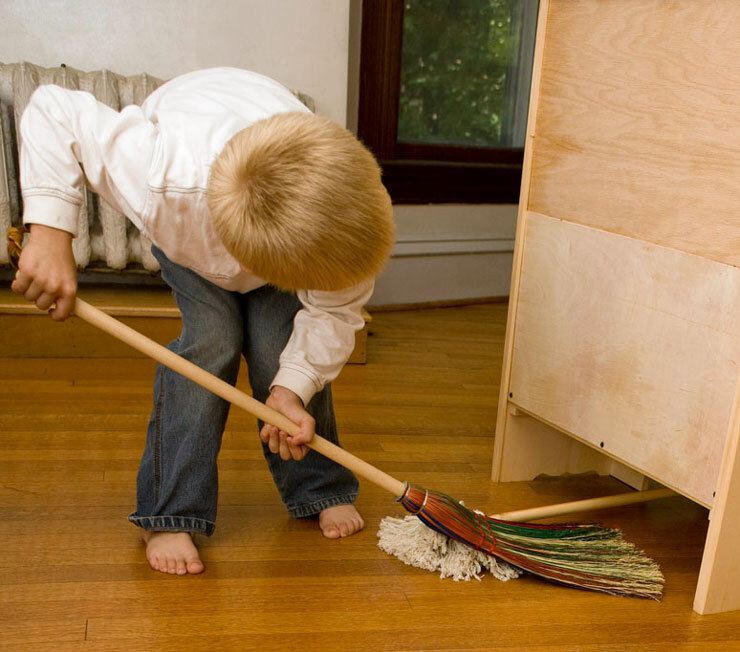 It will take years for some children to learn how to really sweep a floor, but they might completely avoid the task if all they’ve met is a huffy acceptance each time they try. As a parent, it can very hard to let your child’s version of “done” satisfy on certain tasks. If you really want something done thoroughly, you should do it yourself with them helping at their own level. But, it is also good to find jobs that your child’s ability will be “good enough”, at least for today. Evaluate the safety of the task and know your own limits. Some parents feel confident and comfortable letting very small children handle knives for prepping their own snacks. And some of us don’t. Be honest with yourself about your own comfort levels. If you feel nervous about the tools your child is using, they will sense that and perhaps be less aware of other lessons within the activity. Also, be aware that many household cleaners are just not safe for children. Vinegar and water can be plenty in a child’s spray bottle, and even in your own. Be grateful. Right, just be a good example. Thank them just like you would like to be thanked.